Philips Sonicare HealthyWhite+ is built in with a 2 minute timer to assure dental professional recommended brushing time , and the Quadpacer, which is a 30 second interval timer that indicates when you need to move to the next quadrant of your mouth for a thorough clean. I like its DiamondClean whitening brush head which is comfortable and its' Diamond shape, long and slim bristles is easy to brush the hard-to-reach places than manual brushing. 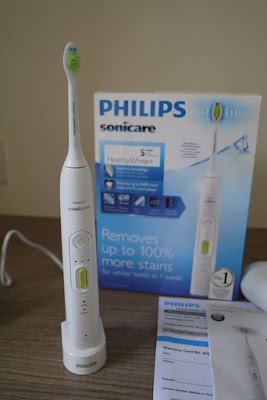 It is advisable to change the brush heads every 3 months to achieve optimal results. 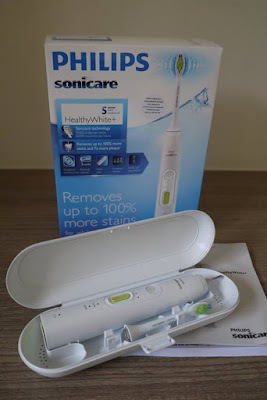 Philips Sonicare HealthyWhite+ users say that it will whiter teeth after 1 week use, but for my case, my teeth is brighter even after just one use. 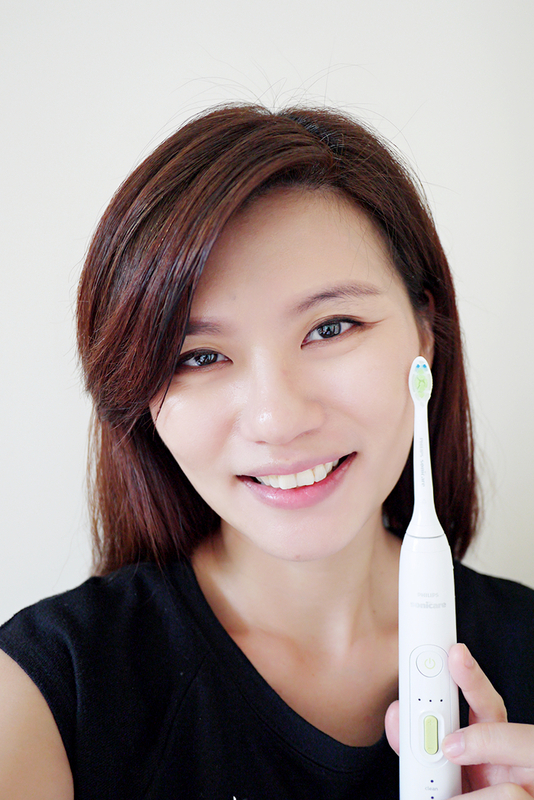 After using it for 3 weeks now, my teeth is bright and shine just like after going through a scaling treatment. 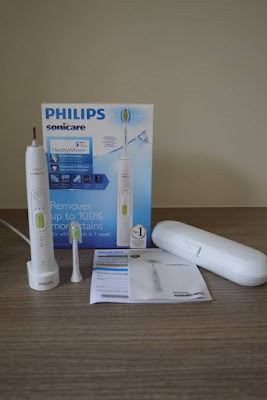 The clean, sleek and modern design of the Sonicare HealthyWhite+ electric rechargeable toothbrush has compliment my modern bathroom. 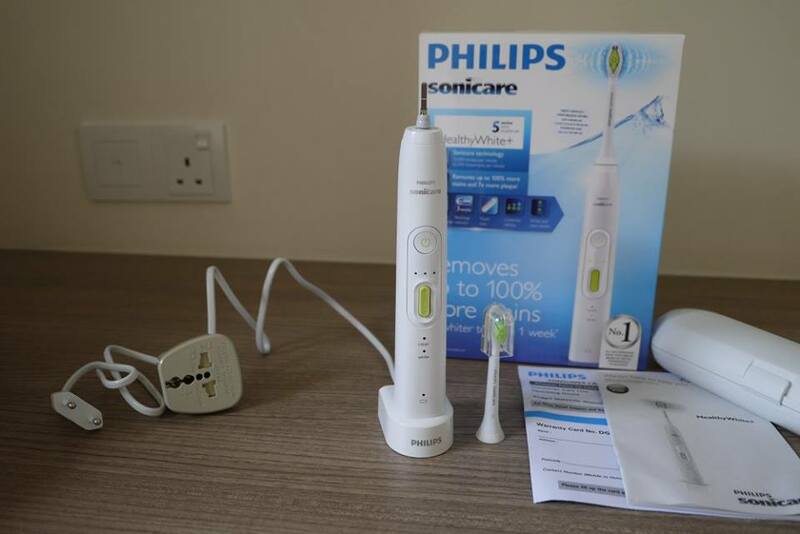 Selling at RM 439, the Philips Sonicare HealthyWhite+ Box contains 1 Philips Sonicare HealthyWhite+ rechargeable toothbrush; 1 DiamondClean brush head (Standard); 1 charger; 1 hard travel case and 1 hygienic travel cap. Philips Sonicare HealthyWhite+ rechargeable toothbrush comes with 2 years warranty, it is available at the Philips Brand Store in Publika Shopping Gallery Kuala Lumpur and Sutera Mall Johor Bahru and the Philips Experience Store in Bayan Lepas, Penang. 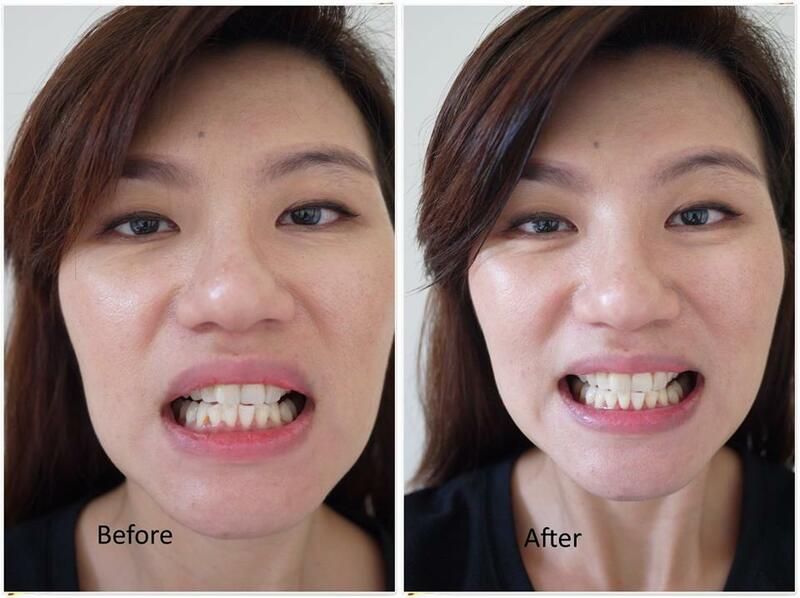 Now, we could all smile with our perfect white teeth and feeling good everyday. RM439 is good investment for a clean and white set of teeth! Let me check it out at the shops. Wow, it really makes ur teeth look brighter btw, nice nice! Wish to have one also! 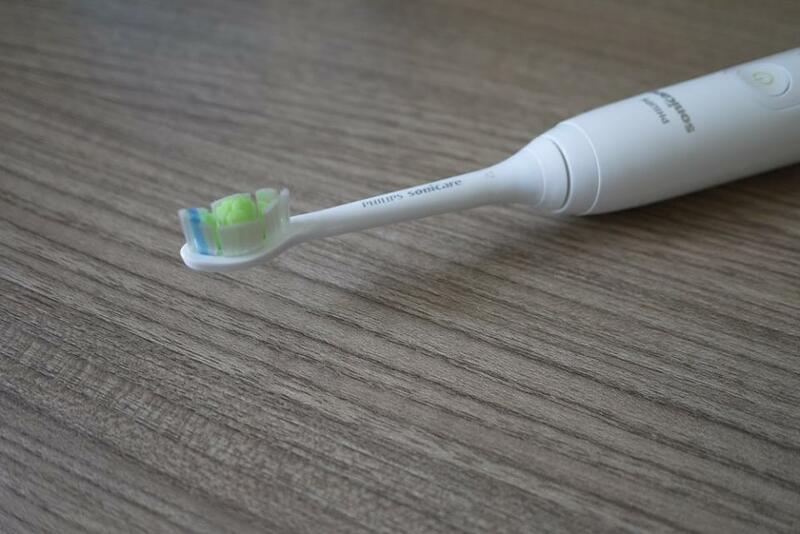 definitely a good tool to keep our teeth clean and fresh. thanks for recommending!